Over 70 programs to choose from! 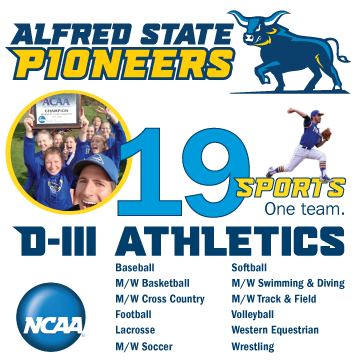 Alfred State athletics: 19 sports, one team. 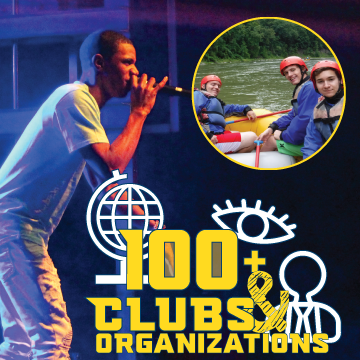 Alfred State offers more than 100 clubs and organizations. Dannielle will have four years of credit toward the total statutory time requirement for licensure as a land surveyor in New York State after she graduates. 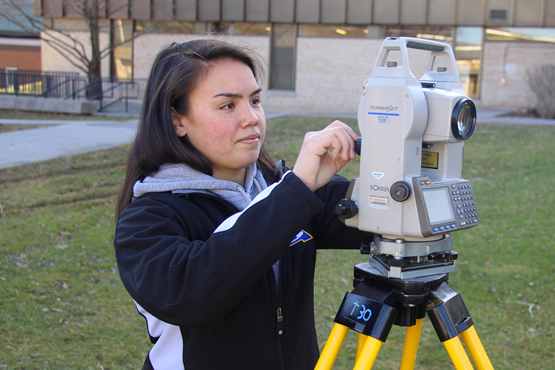 Dannielle O’Buckley was drawn to Alfred State’s surveying and geomatics engineering technology major for a couple of reasons. Number one, she was searching for a surveying program with a four-year degree path. Number two, she noticed the major is accredited by the Accreditation Board for Engineering and Technology, Inc. (ABET). “Being involved on this campus is one of the key things you should do as a student because it expands your horizons so much." 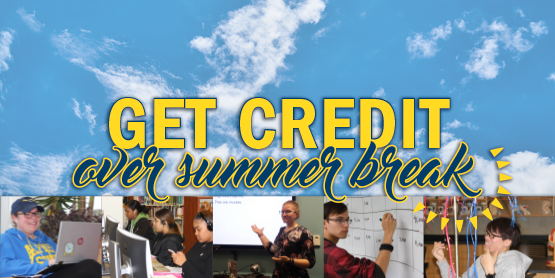 "Class sizes are small, and you are able to go to anyone in your class and ask for help." “I am representing something that I really do believe in. 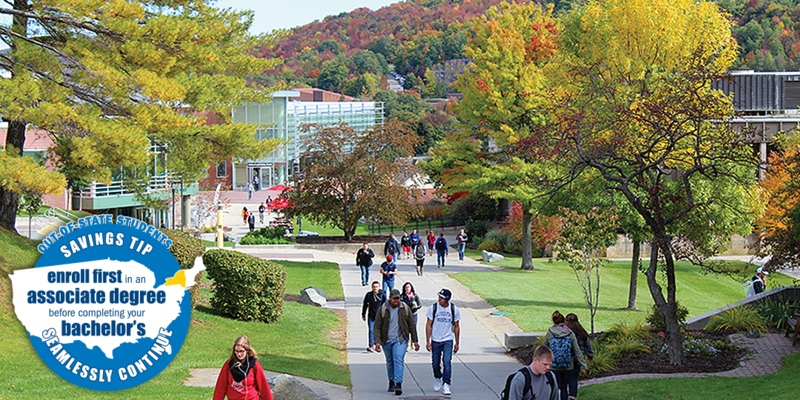 This college is an excellent place." Anthony began racing competitively in 2008 at age 10. 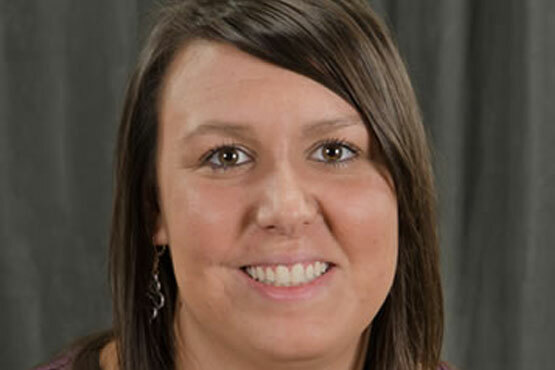 “Alfred State is at the root of what I do and love every day at my job." 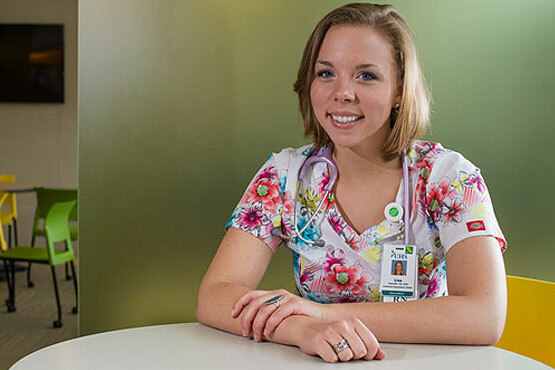 Immediately after graduating, Jessica accepted a position as a registered nurse (RN). 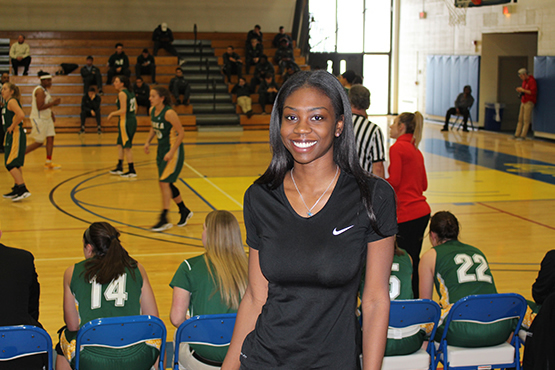 Tatyana aspires to become a sports agent. "A glimpse of excellence will permeate when challenges are met with the will to prevail." 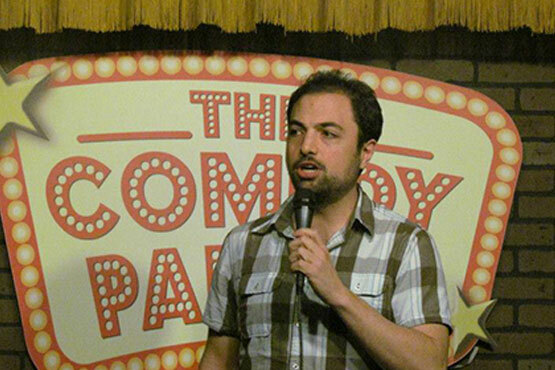 Thomas Daniels is a member of the center for Equity, Inclusion and Title IX. His current title is the Coordinator of Intercultural Student Support at Alfred State. 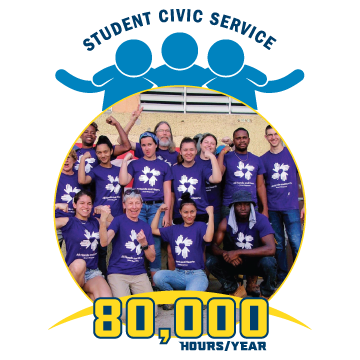 Thomas’s primary focus is to assist efforts that cultivate self-discovery, awareness, advocacy, and empowerment in an inclusive environment with an emphasis on the international student community. He Co-chairs the Kaleidoscope Coalition and oversees the Center for Intercultural Exploration. 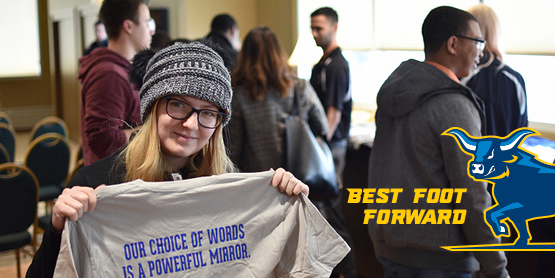 “I feel like Alfred State has made me more confident." 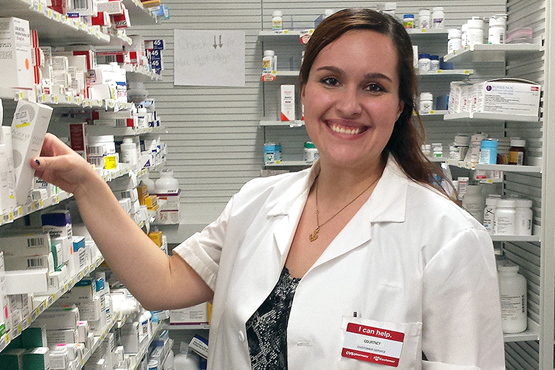 In her major, Shelby is getting plenty of hands-on, real-world experience. 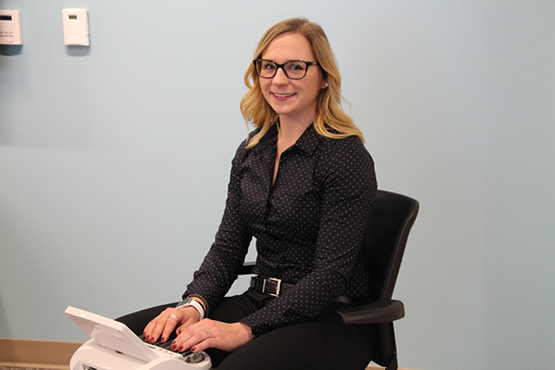 Ever since she was a child, Shelby Detro has been interested in technology. Whenever the Xbox or the computer at home needed fixing, she was the one to do it. 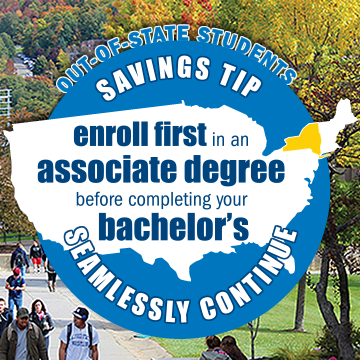 It is only fitting, then, that she enrolled in Alfred State’s computer information systems program, where she is learning to become the “resident expert” not only at home, but on the job, as well. In her major, Shelby is getting plenty of hands-on, real-world experience learning how to administer a computer networking system, install software, establish security, and more. 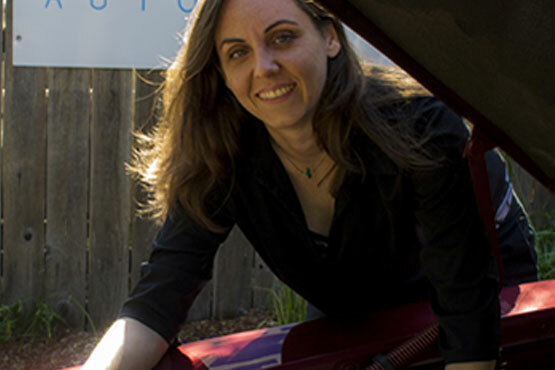 “There is so much opportunity for women in the automotive industry." Kate Jonasse is living proof that if you have the drive, talent, and proper guidance to pursue your dreams, you can achieve them. 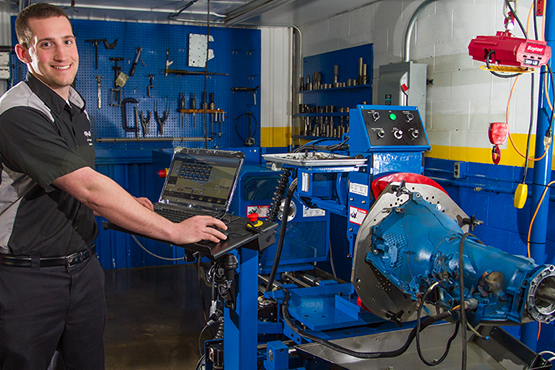 Before becoming a successful technician and business owner, Kate started out as a first-year automotive service technician student at Alfred State. Though she had never even picked up a wrench before entering the program, it didn’t take long for her to get the hang of things. “No matter where I go on campus, I can bump into someone I know." Sarah's major allowed her to study abroad in Sorrento, Italy. 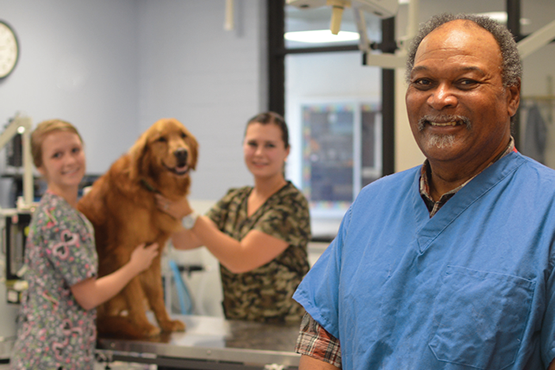 Since developing Alfred State’s veterinary technology program 17 years ago, Dr. Mel Chambliss has touched the lives of countless people and animals, both on campus and in the community. The impact of his skills, knowledge, and expertise in his field has been felt by students, pet owners, and animal care organizations alike. Being at Alfred State, Charles said, is like a second home because of the friendliness of the college community. Charles Richards began honing his culinary arts skills a few years ago when he studied at the only culinary-based high school in New York City. 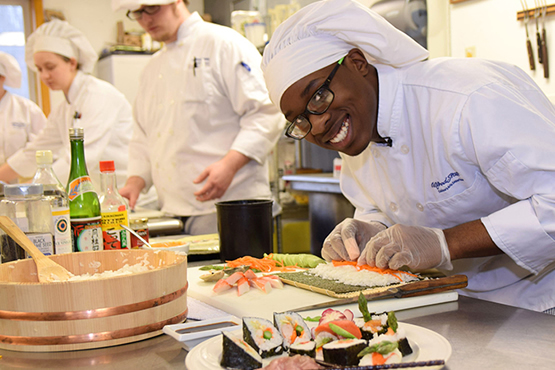 After enrolling at Alfred State, Charles was able to expand his knowledge to include all facets of the food industry, from mass food production to fine dining, the latter of which is his favorite. He plans on pursuing either catering or becoming a private chef. Being at Alfred State, Charles said, is like a second home because of the friendliness of the college community. Though she admits nursing requires a lot of hard work, she acknowledges that it pays off in the end. 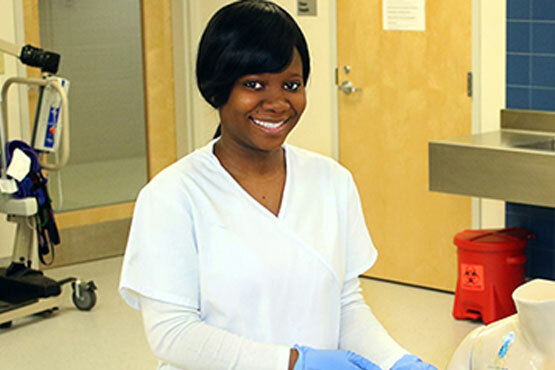 Although she initially chose to study nursing at the urging of her parents, Olufunmilola Olojede discovered her passion for the field at Alfred State. Specifically, she enjoys being able to help people, to feel like she could save somebody’s life, and also having the opportunity to not just learn, but to also apply the processes in clinical experiences. 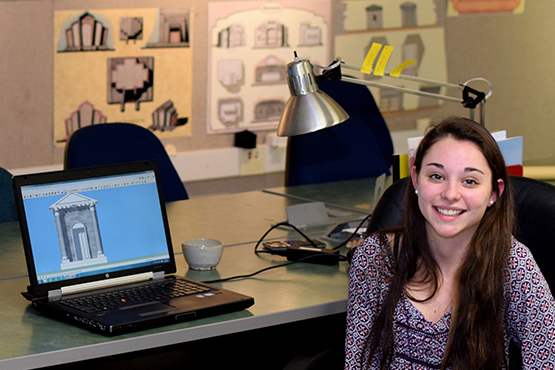 After she graduates, Elizabeth plans on designing equipment for the Navy. 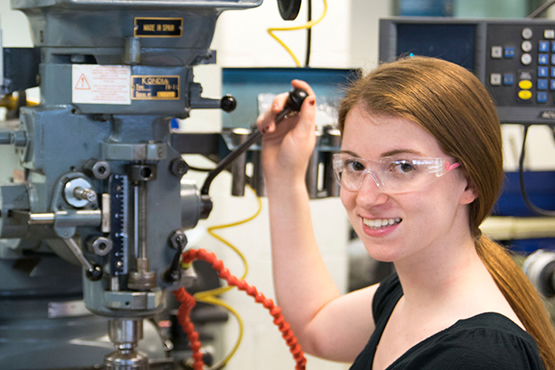 Before deciding to attend Alfred State, Elizabeth Glick had heard about the school’s strong mechanical engineering technology program through friends of hers, who had “only positive things to say” about the college. 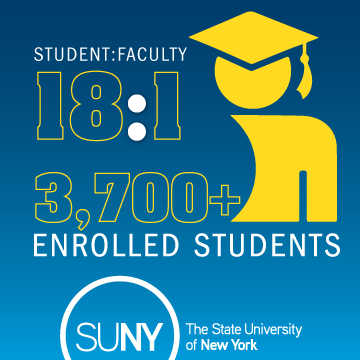 Also making her decision to enroll easier were the peaceful, welcoming atmosphere on campus; the 20-1 student-faculty ratio; and of course, the college’s emphasis on hands-on learning. Like many Alfred State students, Robert Mahany’s education extends outside the classroom walls. 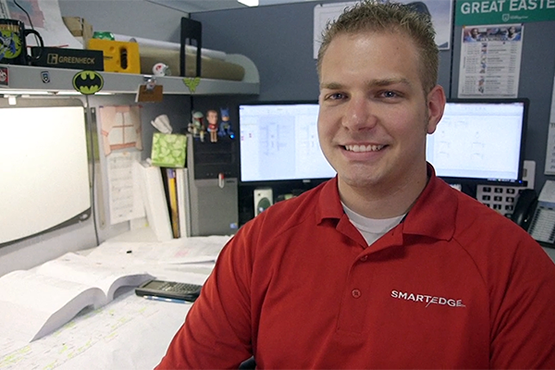 As an intern at a Tonawanda-based mechanical contractor, he was able to get hands-on project management experience, which he also received this summer at an internship in Washington, DC with a leading international infrastructure group. Whether he’s learning the theory or putting it into practice, Robert knows he is being prepared well for the next step after graduation. After watching TV shows such as Law and Order and Criminal Minds, and researching the field of forensic psychology, Nahillah High was certain of what career path she wanted to take. However, after Alfred State helped her land an internship at the Alfred Montessori School, she changed her mind. Rather than become a forensic psychologist, Nahillah decided she wanted to be a child psychologist instead. Through real-world experiences and receiving live, hands-on training every day, Aaron's very confident about his future. 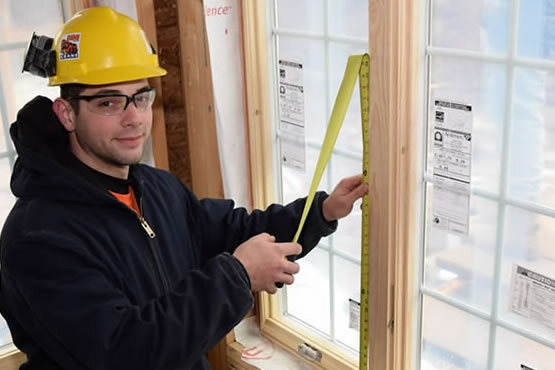 Aaron Aumick loves learning all of the different aspects of the construction world at Alfred State, from drywall, to interior surfaces, to rough framing. In his major, Aaron is being educated on how to build a house from the foundation to the last shingle on the roof. One very notable house Aaron helped construct was Team Alfred’s entry in the 2015 US Department of Energy Solar Decathlon, which challenges collegiate teams to design, build, and operate solar-powered houses that are cost-effective, energy-efficient, and attractive. 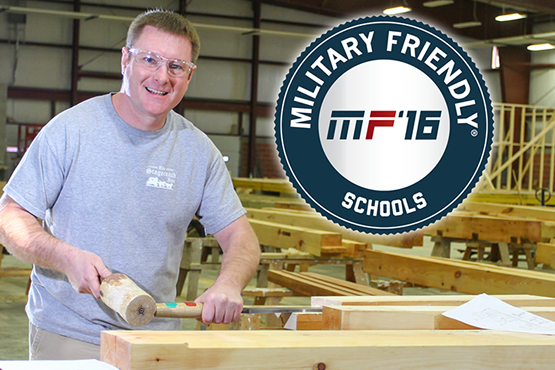 Thomas said the hands-on classes he took at Alfred State gave him more experience than other job candidates. 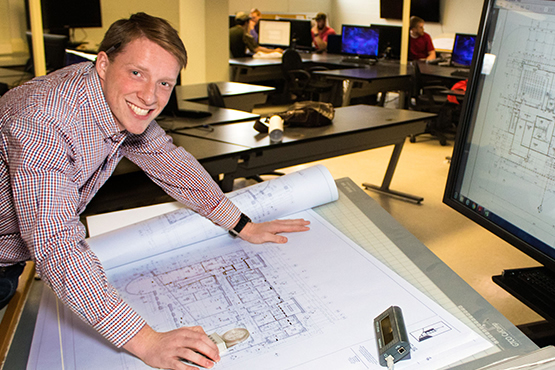 From making lifelong friendships, to gaining leadership skills, to becoming well-prepared for the workforce, the ways in which Thomas Richards benefited from his Alfred State experience are many. 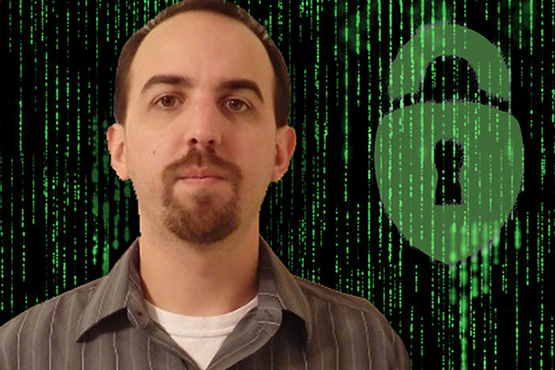 These days, Thomas is employed as a senior security consultant at Cigital, one of the world’s largest application security firms, which is headquartered in Washington, DC, and has offices throughout the United States, Europe, and India. 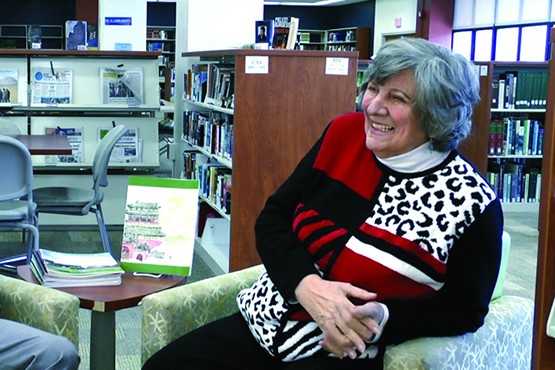 Dr. Aniko Constantine’s true legacy is her impact on students. In her 40-plus years of teaching English at Alfred State, Dr. Aniko Constantine has won awards, become a SUNY Distinguished Teaching Professor, and donated money for scholarships and a legacy gift in the form of a $100,000 annuity. Yet Constantine’s true legacy isn’t measured in achievements or dollars and cents, but rather by the impact she has had on her students. 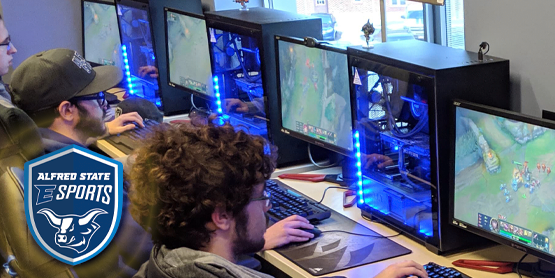 "The one thing that hasn't changed viscerally at Alfred State is the culture; faculty are here because they want to teach students and foster their full potentials." James and Marilyn Ferry donated $10,000 to support the James G. and Marilyn A. 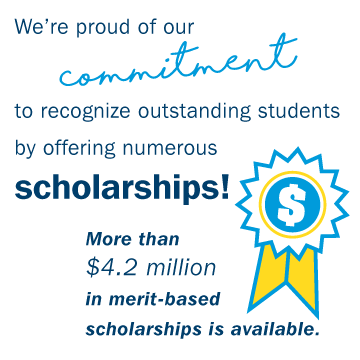 Ferry Endowed Scholarship. Dr. 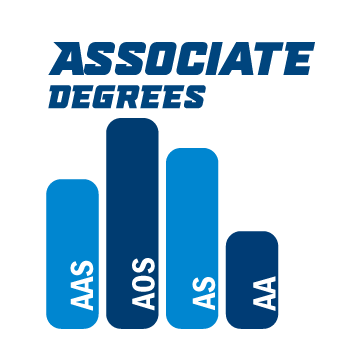 Ferry received his AAS degree in agronomy from Alfred State in 1963 followed by BS and MS degrees from the University of Georgia. He continued his education with a PhD degree in biochemistry from the University of Illinois in 1974. He was appointed assistant professor of microbiology at Virginia Tech in 1976, where he rose to the rank of professor. 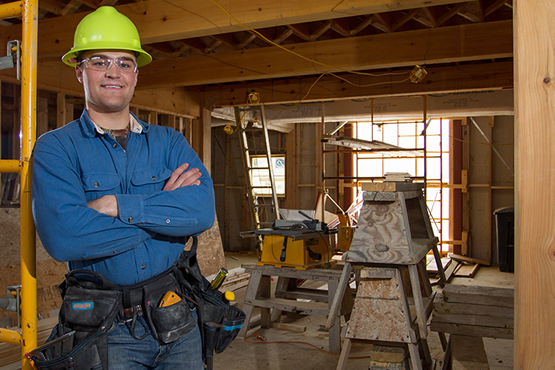 For Taylor Battaglia, the hands-on learning he received at Alfred State was invaluable once he entered the workforce. 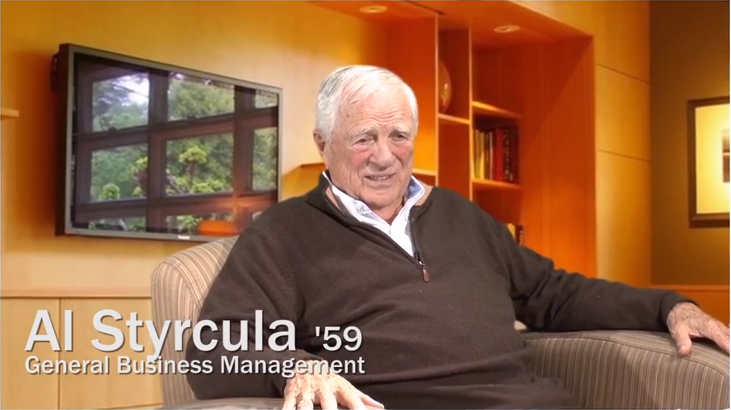 When Albert Styrcula entered the workforce in 1959, he was fresh out of college. He started out at Foodcraft Inc., a small processing and distribution company that dealt in dairy products. His jobs varied from accounting work to driving trucks to delivering milk to washing bottles. However, by 1972, Styrcula had worked his way up to the top of Foodcraft, becoming CEO and chairman of the board, positions he held until 1988, when Uni-Marts Inc. acquired the company. During that time, the company’s sales increased from $2 million to $50 million under Styrcula’s leadership. "All of the things that have really become my strengths were from opportunities I had at Alfred State." Dispenza became less shy through getting involved with many clubs and organizations on campus. 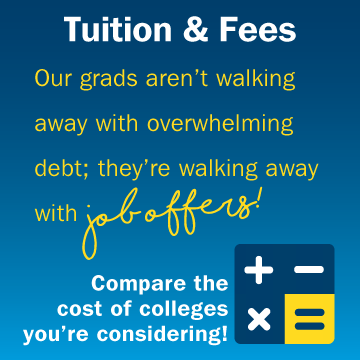 "[Online classes] offer a lot of flexibility. It takes a lot of self-discipline, but it’s really great for someone who has a busy schedule." Lisa had a lot of conflicting ideas about what to do with her life before entering college. “To be honest, I sort of fell into nursing as a major. I looked at a lot of schools, thought about pre-med, law enforcement, everything. In high school I considered psychology as well,” Lisa says. 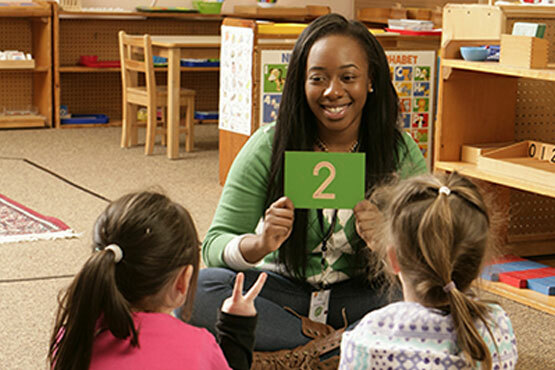 Today she’s a 2013 graduate of the nursing bachelor’s degree program at Alfred State, and she’s working in the dynamic field of psychiatric nursing at one of the largest hospitals in Binghamton, N.Y.
Travis is passionate about all things green—from renewable energy and resources to green building techniques. 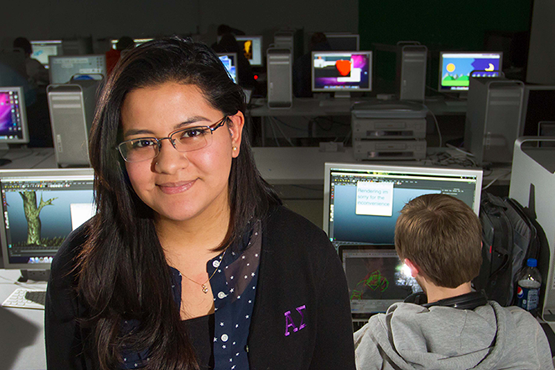 Patty Padilla, a Manhattan resident, came to Alfred State undecided until she met a student in the Digital Media and Animation Department. Strong work ethic and leadership skills were the direct result of her programs and getting involved on campus. A 2013 SUNY Chancellor’s Award for Student Excellence recipient, Courtney joined Student Senate as the activities chair and later became president of that organization. In addition, she co-founded Live to Fight, a group that brings awareness to all types of cancer and terminal diseases. After 15 years dreaming of going back to school, Roger took the leap and applied to Alfred State. 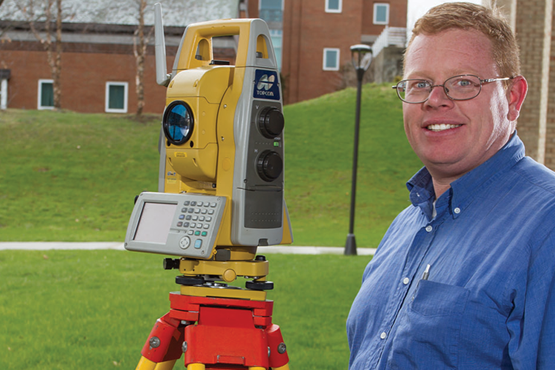 Although he holds a degree in forestry, the college’s four-year, ABET accredited program in surveying and geomatics engineering technology was a better fit for his career aspirations. 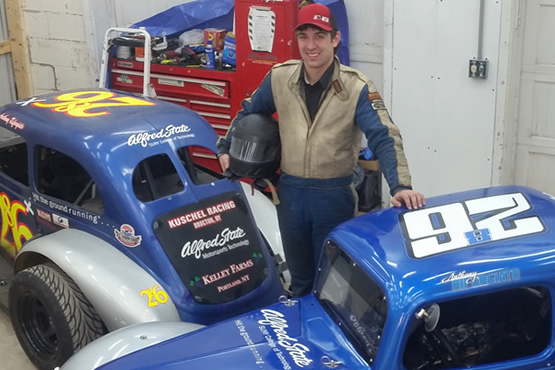 Zach Diangelo, of Nunda, has a love of all things fast, powerful, and four-wheeled. "I wanted to spend more time under the hood rather than just rushing through the theory." 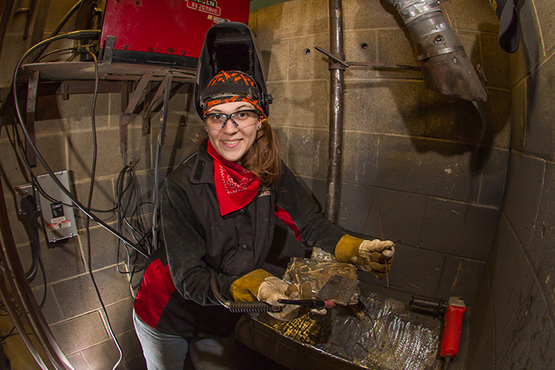 Emily discovered her talent for welding in high school and chose Alfred State because she wanted an education that would give her the experience she needed to be confident entering the field. Ryan had the opportunity to gain live, hands-on experience as a technician, and work alongside instructors very well-versed in their field. Ryan Dontoh can attest that Alfred State played a huge role in helping him become the person he is today. 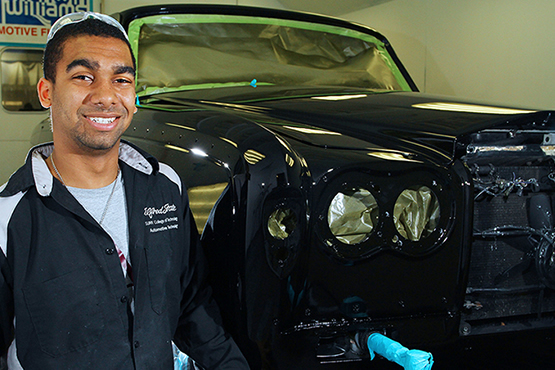 The Dryden native is now employed as a senior build technician at Local Motors, Inc. out of Phoenix, AZ, a company he established a relationship with while taking part in the Fireball Run competition as an Alfred State student. Also, joining the Psi Delta Omega Fraternity and the Emerging Pioneers Leadership Program (EPLP), he says, helped make him into a leader. 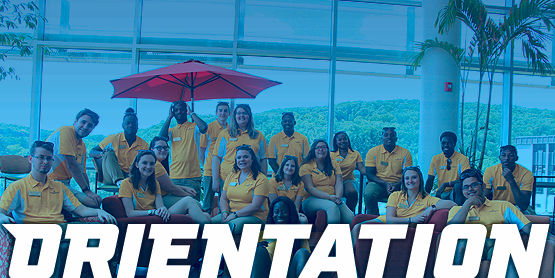 "The Development Fund Board ’s main goals were to establish a ‘habit of giving’ among the friends of Alfred State and to set up appropriate structures for conducting fundraising and stewardship activities." James will leave a legacy gift to the college. 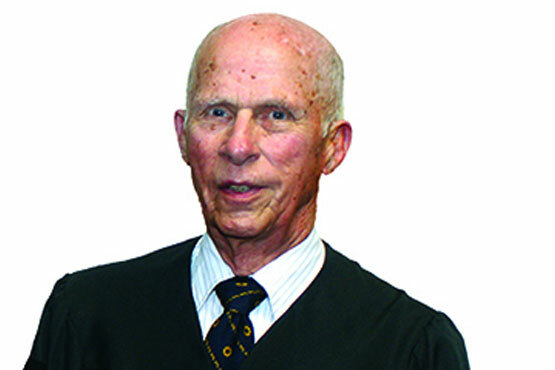 Although he never attended or worked at Alfred State, Koller has been a Pioneer for more than 30 years. In 1981, he was appointed to the Alfred State College Council, an advisory group to the president of the college. He would serve for two additional seven-year terms, the legal limit. For more than 20 years, Koller voluntarily invested his time and efforts in the future of Alfred State, both as a College Council member and later as an original member and second chair of the Board of Directors for the Development Fund, the fundraising entity for the college. 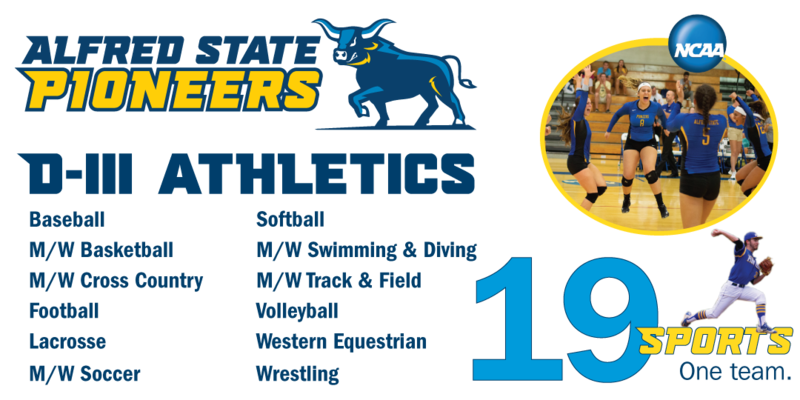 You may have seen her at an Alfred State sporting event, at Commencement, or exercising at the Orvis Strength and Conditioning Center. 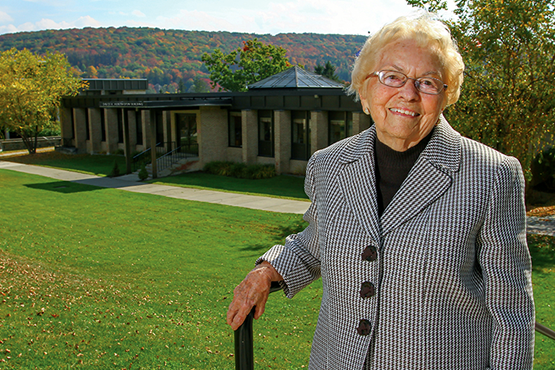 Mary Huntington has had a strong presence at Alfred State and the nearby community since 1964, when she became first lady of the college after her husband, David, took over as the school’s seventh president. 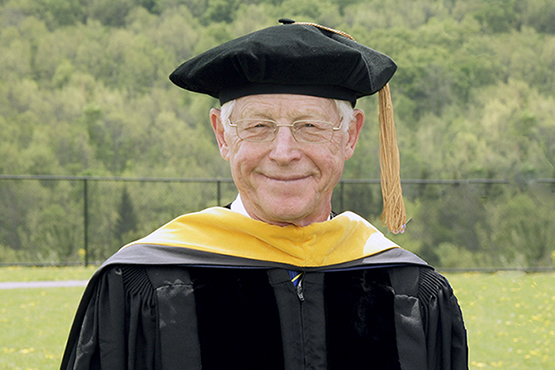 David Huntington, for whom the Huntington Administration Building on the Alfred campus is named, served as head of the college until 1986. "Alfred State is one of my big loves." Barbara Becker credits Alfred State with providing the foundation for advancement in her 40-year career in the business world, as well as the confidence to meet the challenges of everyday life. 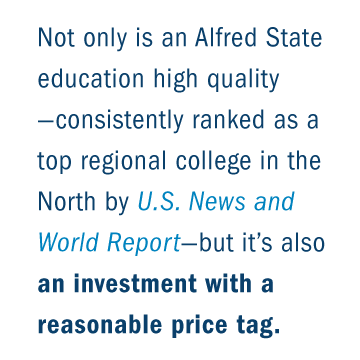 "Alfred State is one of my big loves," she said. 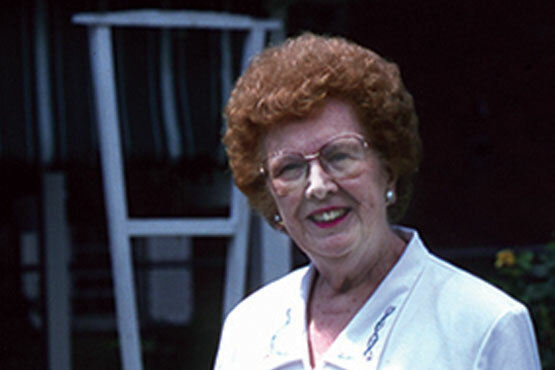 At the time of her graduation in 1947, Becker was one of seven in the first graduating class of executive secretarial majors. A Corning resident, she soon began working for Corning Glass Works as secretary to the director of New Products and of the Centennial. For the Moores, Alfred State is many things. Alfred State is the place where they met, the place where they fell in love, and the place that helped set them on a path to bright futures. 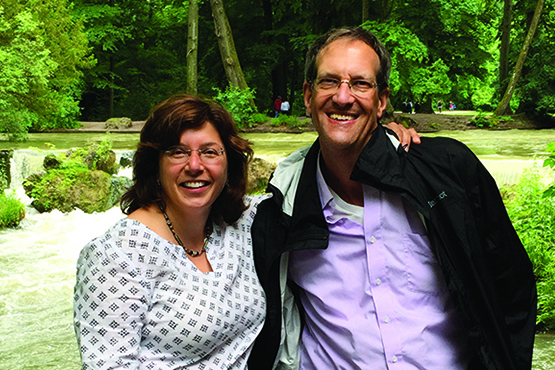 The Moores' road to where they are today began in the early '80s, when they first met in the registration line at Alfred State as non­traditional, adult students. Though they now reside more than 400 miles away from Alfred, the Moores have still maintained close ties to Alfred State and have generously supported their alma mater over the years. 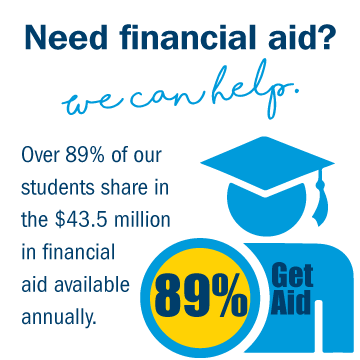 Brasted has given back much to Alfred State over the years. 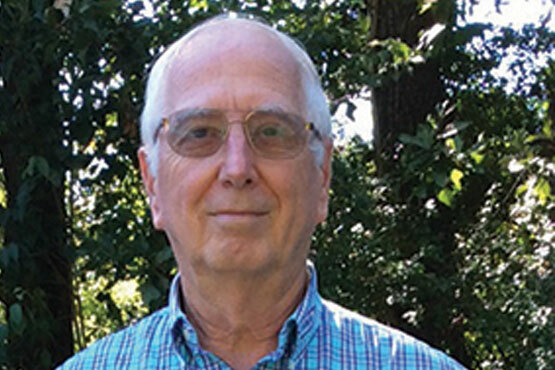 In his 30-plus years of working for Shell Offshore, a subsidiary of Shell Oil, Lee Brasted carved out an impressive and prosperous career as a world-class engineer. The success he enjoyed in this field was largely founded on the solid education he received at Alfred State. Brasted has also given back much to Alfred State over the years. Since 1997, he and his wife have been President's Society members, have donated and had matching gifts totaling nearly $100,000, and have also established the Lee Brasted Engineering Science Endowed Scholarship. Alfred State is very veteran-friendly. 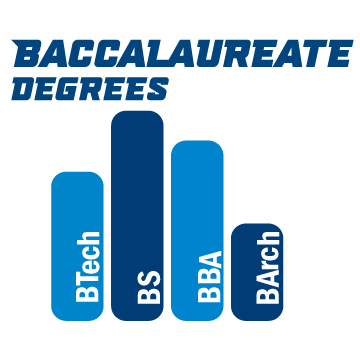 Faculty helped him out tremendously and the college has given him the knowledge and confidence he needs. 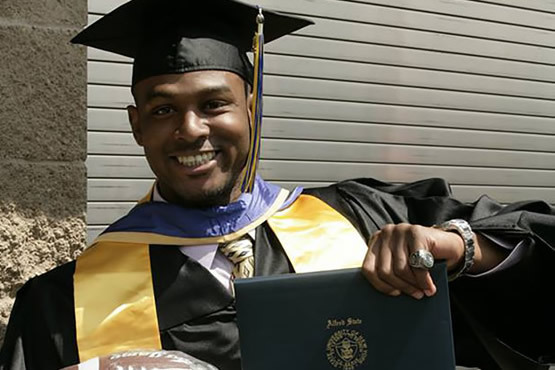 After completing his service in the Marine Corps, Jordon Williams began researching colleges to attend. His search ultimately brought him to Alfred State. 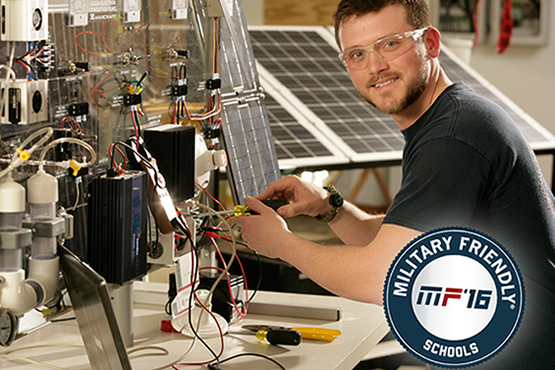 “It had the best program for what I wanted to do.” Williams, who planned on becoming a wind turbine technician after graduating from Alfred State, said the faculty helped him out tremendously, and that the college gave him the knowledge and confidence he needed to have when entering the workforce.